I’m afraid there’s not much to show – I was too busy riding the bike to stop and take photos. There was also a lot of grinning going on. 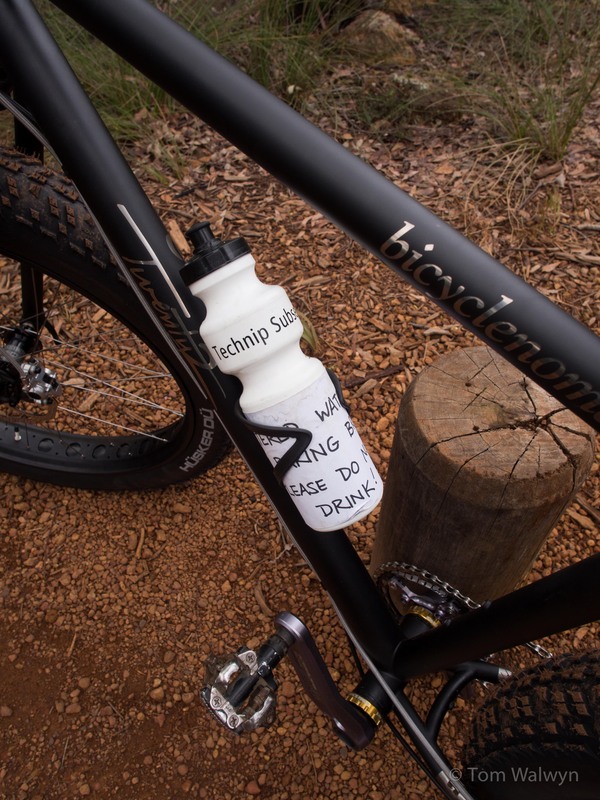 We spent 4 hours on the trails around Kalamunda, up in the hills near home. There was the usual getting lost phase, following a likely looking line off the wider main track. The bike’s a good’un. 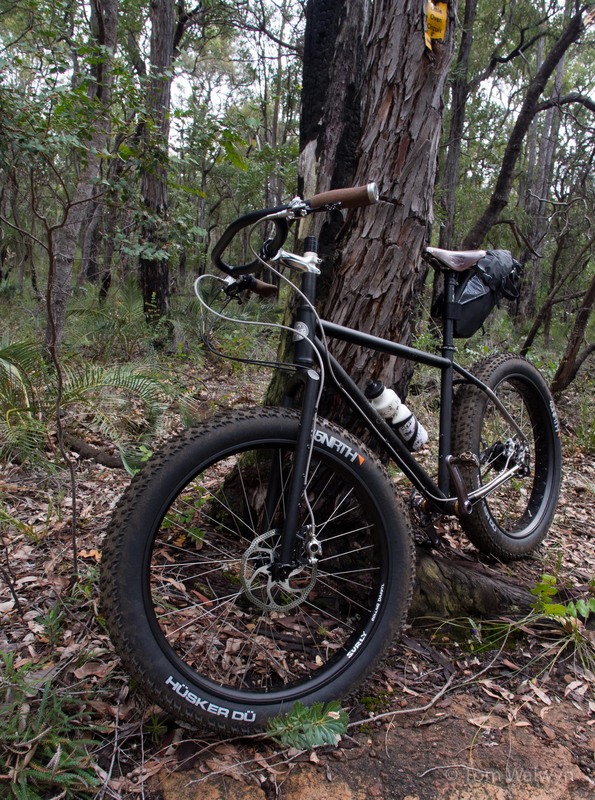 The big tyres suit the trails well – and there’s enough squish so that I’m not slowed down at all, compared to riding a dual suspension bike. In fact, I prefer the feel the new bike gives me.